I hope everyone had a wonderful Thanksgiving…and if you had to cook, I hope you are taking today off! (Believe me, you earned it.) I spent most of Thanksgiving Day in the kitchen but actually enjoyed it. Some years it just feels like work, but this year it really wasn’t too bad. Maybe I’m more relaxed or maybe I’m just getting better at managing everything. Either way, we had a lovely day and I hope you did too. 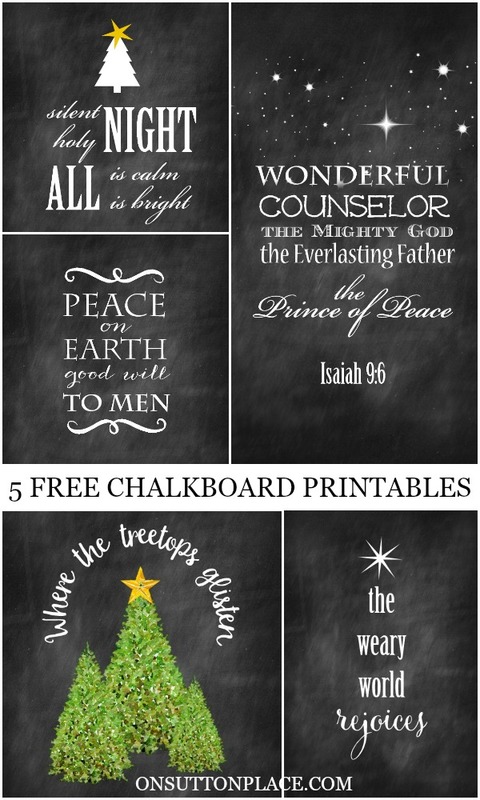 Today I’m sharing 5 Christmas Chalkboard Printables to help deck your halls. 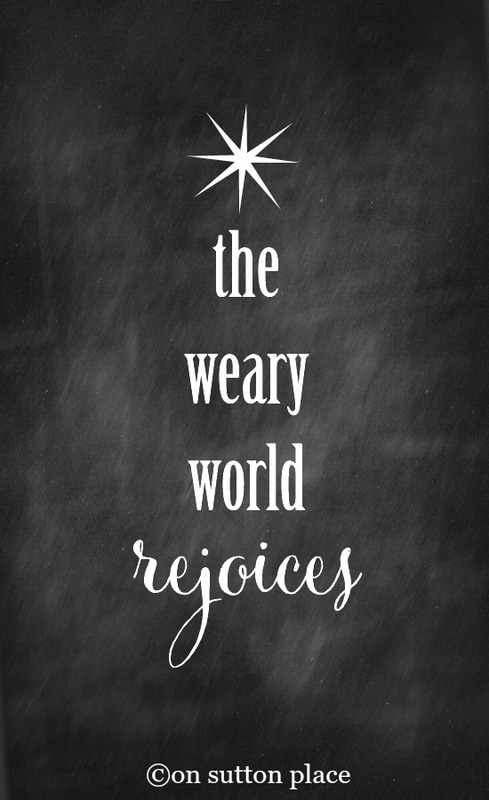 I already shared JOY Free Christmas Printables but if you want just one, these will work perfectly. I heard from a few readers who didn’t have space for three frames and I totally understand. These all coordinate but each one can be used on its own. 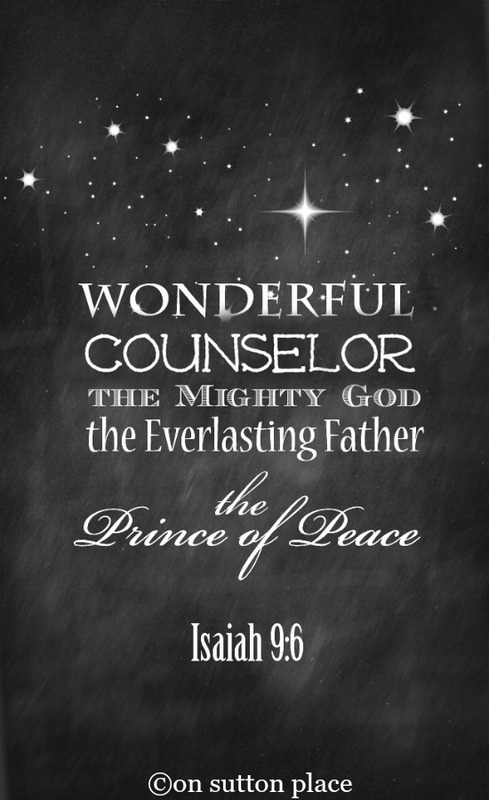 The Isaiah 9 printable is from last year, but I posted it very late. I decided to include it again just in case you missed it. Take a look and I’ll see you at the end. 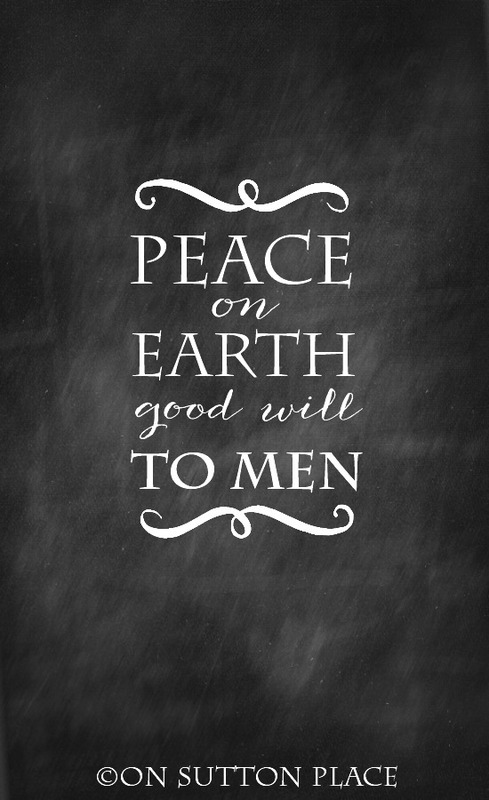 One thing I love about chalkboard printables is that they make awesome wallpaper for your phone. Just download to your photos and then save as your wallpaper. Super easy. There is something about the dark background that makes them pop right off your phone screen. I started a little decorating but haven’t finished a thing so hopefully I will have something to share with you in a few days. 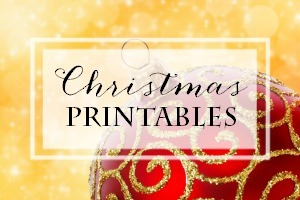 Click the image below for more Christmas printables! Love your site and all your ideas are so inspiring! 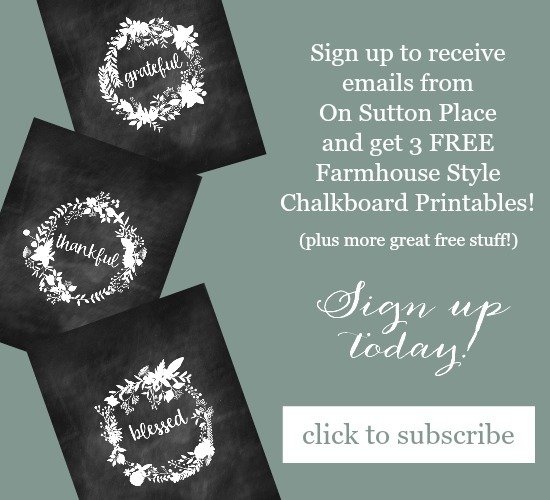 I have one of those dumb questions…how do I print the chalk printables?? I have asked around and no one can answer me so I will ask the expert! Thank you your printables are great,i received my orders and am enjoying them,know these will help with decorating for Christmas,thanks again Ann. 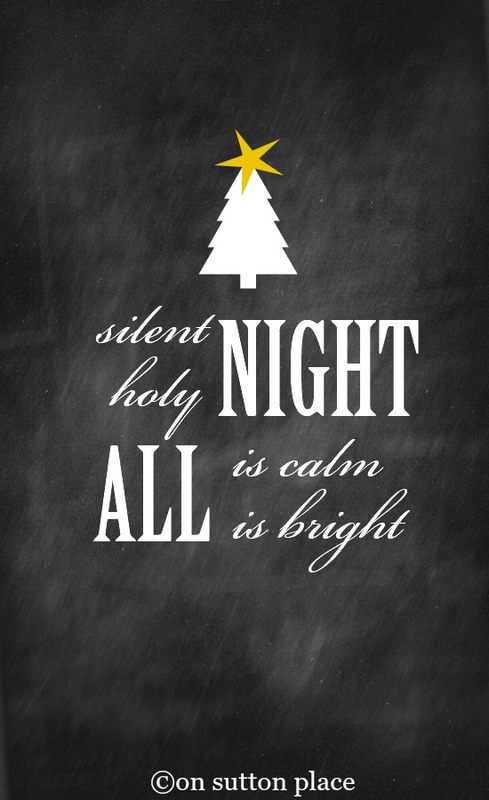 I have become a HUGE fan of your printables. At first I wondered where I would put them because my walls seem already peppered with plenty of artwork. However, as I see more and more that I like, I want to put little frames with sweet printables and inspirational words in all sorts of places. These are beautiful! 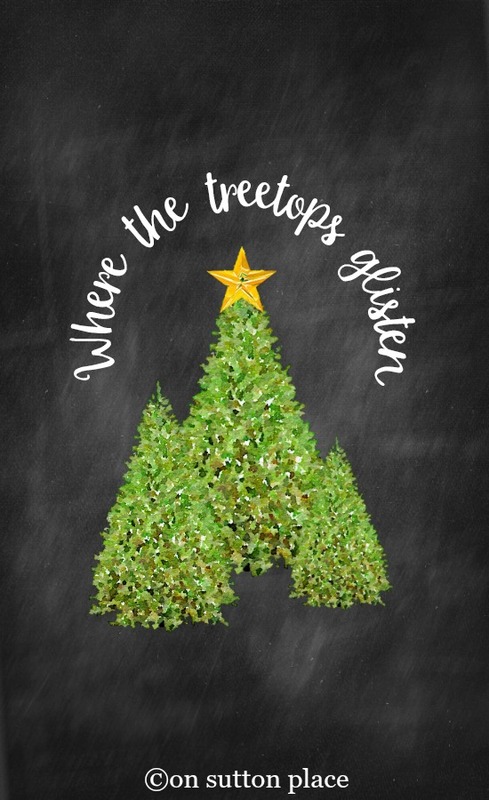 Love these designs–I am quite smitten with the one with three Christmas trees. These are wonderful. I love the printable images. Just curious…were you perhaps a graphic designer at one time? These are great. Hi Carole…no I have no formal training in graphic design. I am self-taught from online tutorials and youtube videos. I would love to, at some point, take some real classes but not sure how to work that in at the moment. Your question made my day though so I thank you for that! Yesterday I decorated my home for Hanukkah, including the new grain sack Stars of David I ordered from you and last year’s Hanukkah printable that you offered. Thank you for bringing the beauty of the season into my home. Oh my gosh Debra thank you so much for letting me know! Happy Hanukkah to you and your family…and blessings for the coming year. Thank you so much for sharing your wonderful talent with us. I am void of artistic skills and love the kindness of your sharing. I just found your site and am really enjoying it. I have so much more to discover and I am grateful for your kind heart. What a lovely thing to say Beverly…and welcome to On Sutton Place. I’m glad you’re here!